As a parent, We always want to encourage our baby to eat different kind of foods from a young age. Baby’s daily diet should include a variety of foods after introducing solids; there is no doubt about that! 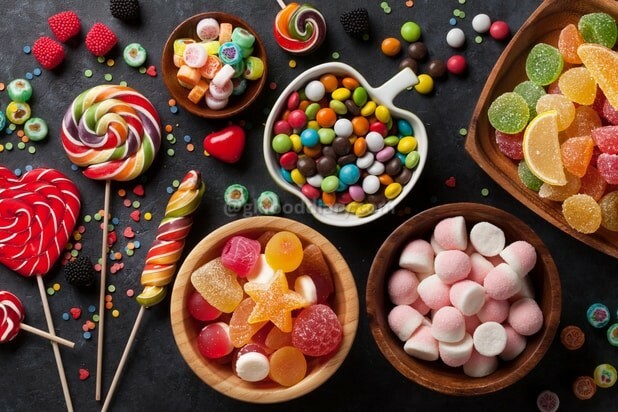 But certain foods are not safe for your baby before one year that may pose a danger of choking, and some aren’t suitable for the baby’s still-developing digestive system. Here are top 12 foods suggested by many experts and pediatricians that can be unsafe for your baby before she/he turns one! 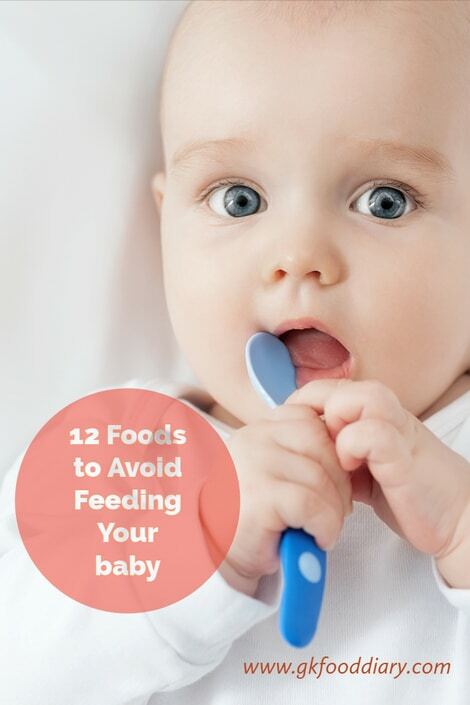 Here is a quick video for 12 Foods to Avoid feeding your baby the first Year. 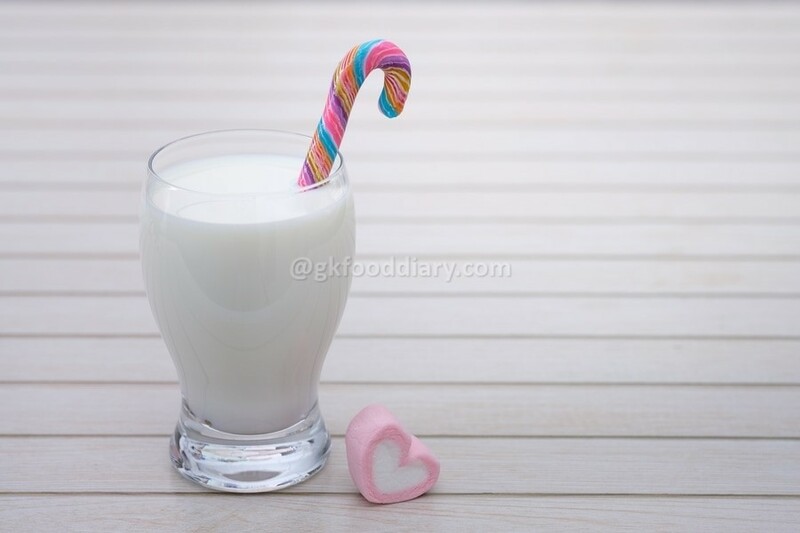 Read further below on the detailed information on caution foods for a baby before one year. 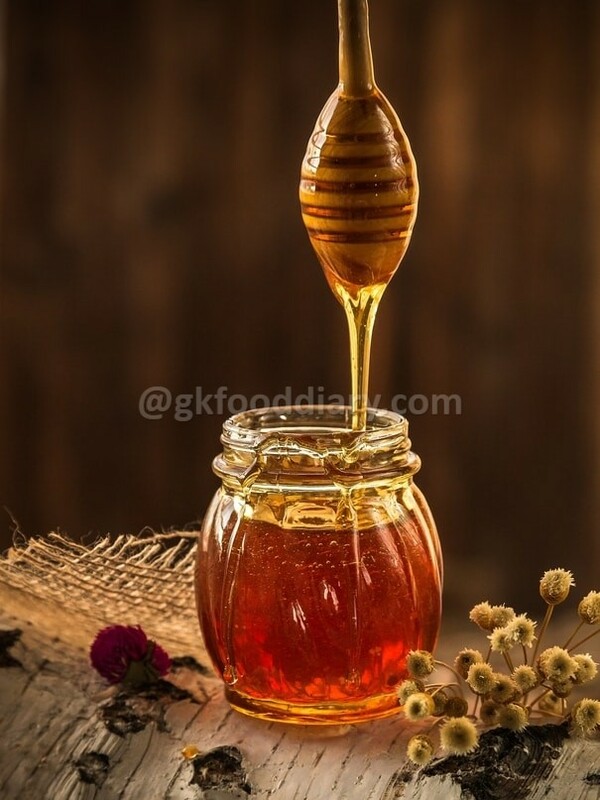 Honey may contain botulism bacteria; these bacteria can cause severe food poisoning in babies under one. The illness is called Infant botulism. For this reason, do not give raw honey or any processed foods containing honey to babies under one year of age. Food Alternative: Prefer adding sweet tasting fruit purees like apple/banana or vegetable purees like carrot/sweet potato Etc or try dates syrup or raisins syrup as a sweetener to your baby food. Babies younger than 12 months should not be fed with cow’s milk as the proteins in cows’ milk is not easily digestible for baby’s still maturing tummy. It may cause mild to severe allergy in babies with symptoms skin rash, vomiting, diarrhea if introduced before baby’s first birthday. Also, cow’s milk can replace breastmilk/formula milk which should be a major source of nutrient for baby’s first year. Food Alternative: Feed your baby with plenty of breastmilk/formula until one year. Expressed breastmilk or formula milk can be added to baby food. Other nutritious dairy sources like homemade yogurt/curd, paneer can be fed instead of cow’s milk. Nuts are highly nutritious food for babies. But whole nuts such as almonds, cashews, walnuts, etc. are difficult to chew for small babies and may choke. For this reason, Children under five shouldn’t eat whole nuts. Also seeds such as sunflower seeds, pumpkin seeds can be easily inhaled into the baby’s airway and may cause an infection. 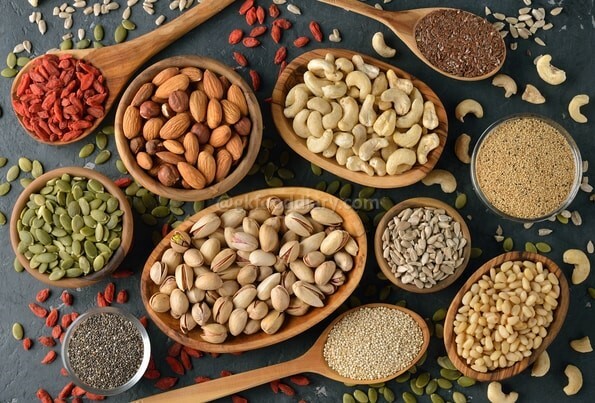 Food Alternative: Do feed powdered nuts/nuts powder or soak the nuts and grind it to a paste, and add to your baby’s food. Food Alternative: Use fruits/fruit purees like apple, banana, pear as sweeteners or add in minced or pureed dry fruits such as figs, raisins, apricots, etc. Palm sugar/palm jaggery can be added once in a while when making desserts for baby. 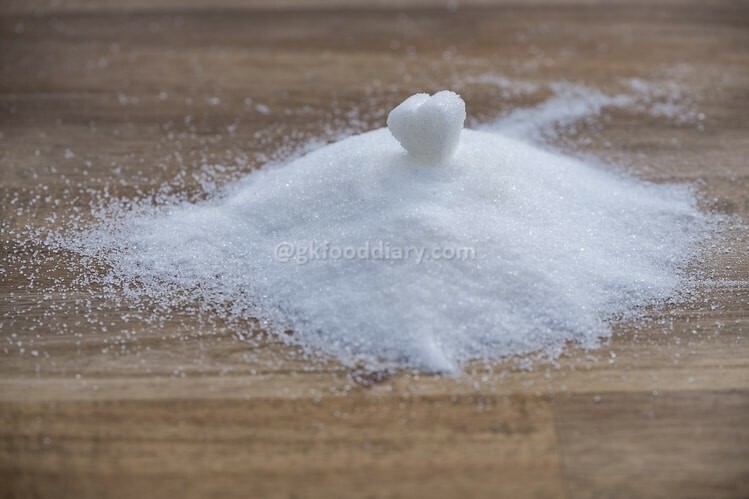 Babies need less than 1 gm of salt a day, and their kidneys are too immature to deal with more salt. Most of the Foods such as fruits, vegetables, lentils, eggs, etc. naturally contain salt, and there is no need to add extra salt to your baby for one year. 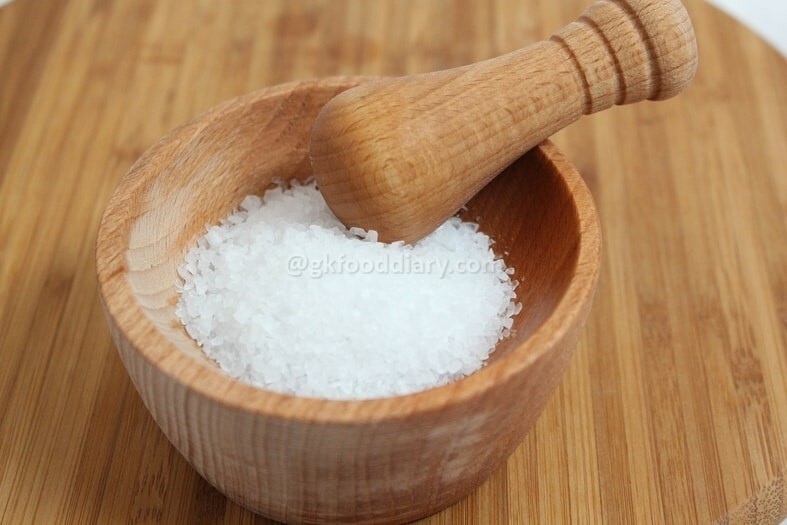 Giving more salt than the recommended amount may damage the kidney. Note that commercial baby food may contain added salt, make sure to read the labels before buying. Food Alternative: If your baby finds the food bland without salt, try adding spices like ginger, garlic, cumin seeds, pepper, etc. in little amount. Also if you are giving family meals to your baby, make sure to remove a cooked portion before adding salt. Keep the babies away from anything caffeinated such as coffee, tea, colas, chocolates, fizzy drinks, sodas, sweetened drinks, energy drinks, soft drinks, etc. By giving them, we could be setting up bad eating habits. As caffeine can cause dental problems, dehydration, obesity, restlessness, and malnutrition in babies. Food Alternative: Breastmilk, formula milk, water, and coconut milk are the best drinks for the baby. 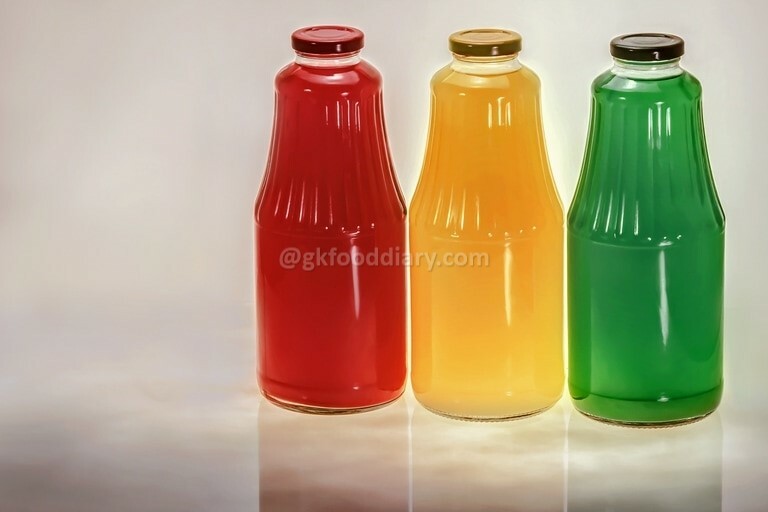 Also, homemade fruit juices can occasionally be given but not more than 120 ml/4 ounces of fruit juice per day as breastmilk/formula should be baby’s primary nourishing fluid during the first year. Food Alternative: Spread a thin layer of nut butter on bread or crackers. Or thin it with water or fruit juices. You can also try dates syrup as an alternative to nut butter on bread. 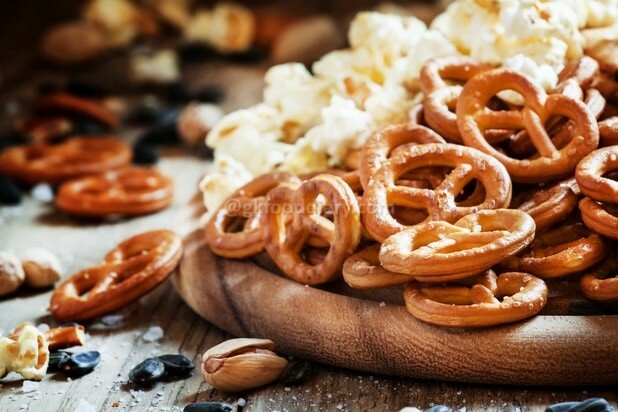 Hard foods like popcorn, pretzels and Large Chunks of Meat, dry fruits, Cheese or Fruits are all potential choking hazards as they can get stuck in your baby’s throat. Always cut food into pieces to 1/2 inch or the length of your fingertips. Prefer soft ripe fruits and cut up fruits such as grapes, cherries, berries, raisins or any dried fruit before giving to your baby. 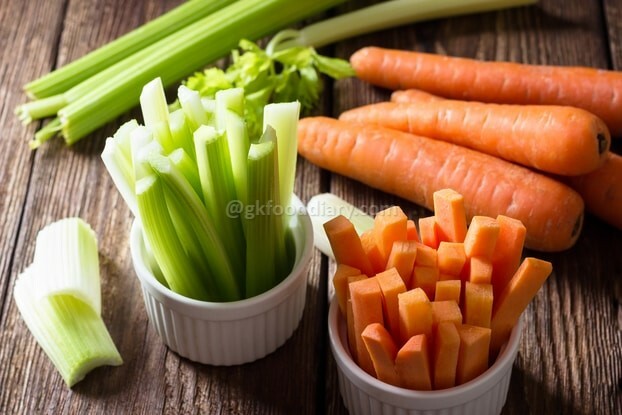 Crunchy Raw vegetables such as green peas, string beans, celery, carrots, baby carrot, raw whole corn kernels are too hard for the babies to chew, pieces can get stuck in baby’s throat. Hence these raw vegetables should be avoided for babies. 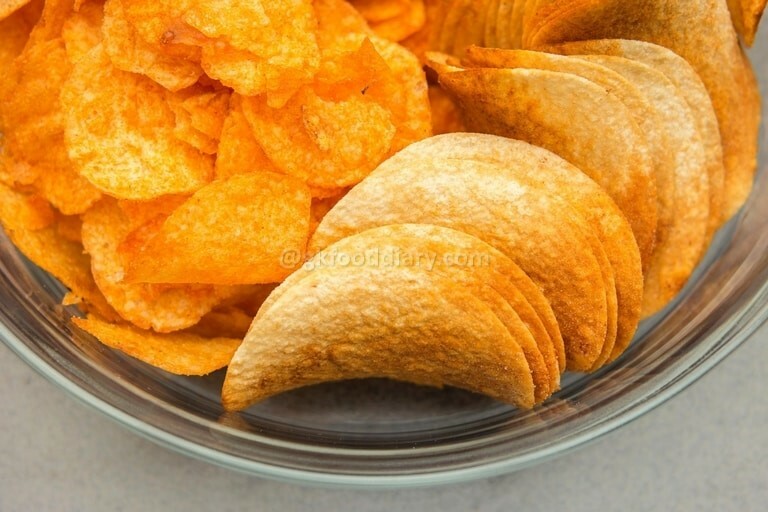 Food Alternative: Give them soft-cooked peas or mashed beans, and carrots or cut them into bite-sized pieces after cooking. Burgers, pizzas, chips, hot dogs, store-bought deep fried items and chat foods are loaded with salt and saturated fats. It may fill the baby’s tummy without providing enough nutrients. Food Alternative: Make homemade healthy foods. Check our baby food charts and recipes for 6-12 months babies for healthy ideas. Fish is an excellent source of protein, but some varieties of fish are dangerous for small babies (and even toddlers) because of high levels of mercury. The high mercury levels in fish can damage the brain and nervous system of young children. Avoid fish with high mercury levels especially swordfish, king mackerel, shark, marlin for small children between the ages of two and six years old. 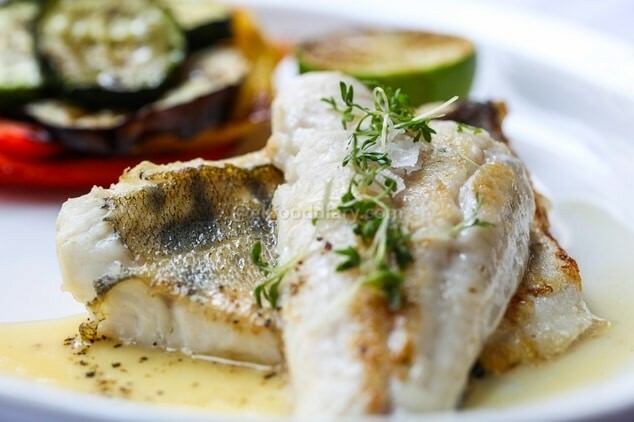 You can opt for fish with low mercury levels such as salmon, Pomfret, shrimp, catfish, sardine, anchovies, pollock. Make sure to have a word with your baby’s doctor before introducing fish to your baby. Serve only about two or three ounces of low mercury fish and make sure to remove all bones before serving. Cheese is one of the healthiest protein-rich food for babies. But some cheese types that includes soft-ripened cheese, blue-veined cheese, unpasteurized cheese, processed cheese, imported cheese aren’t suitable for young babies. That may pose a food poisoning risk and leads to fatal foodborne illness. For example, brie, camembert, chevre, blue-Veined cheese, Mexican style cheese, etc. should be avoided for babies. Hard chunks of cheese, stringy, melted cheese can also be a choking hazard for babies. So always give cheese in soft buttery form (shred it or mash it) to babies. 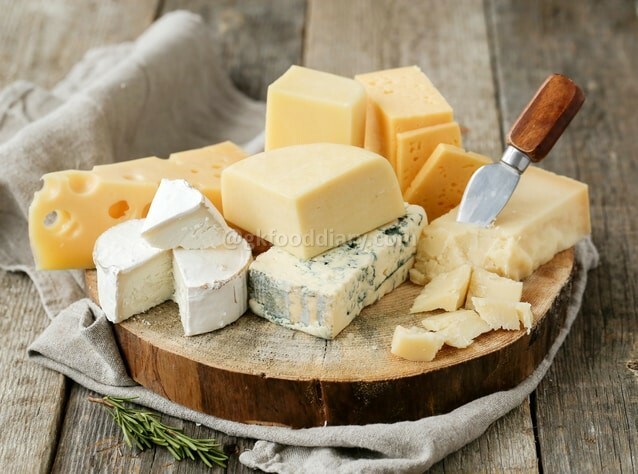 Food Alternative: Choose soft cheese like Cream cheese, ricotta, Cheddar, Colby, Swiss, mozzarella, Monterrey, Parmesan, Romano, Cottage Cheese aka paneer. You can make ricotta, cream cheese, cottage cheese/paneer at home quickly, but make sure to use pasteurized milk while making homemade cheese as raw milk may pose bacterial infections. Please note that exclusive breastfeeding/formula feeding is recommended until six months. Check with your doctor immediately if your baby has a poor appetite, vomiting or diarrhea, as dehydration leads to dangerous effects. The doctor may help you to determine the cause of the problem and treat it.